Fantastic work by this excellent 70s combo – a quintet whose leaders recorded famously with Horace Silver in the 60s, then took his inspiration to very different spiritual territory on their own! 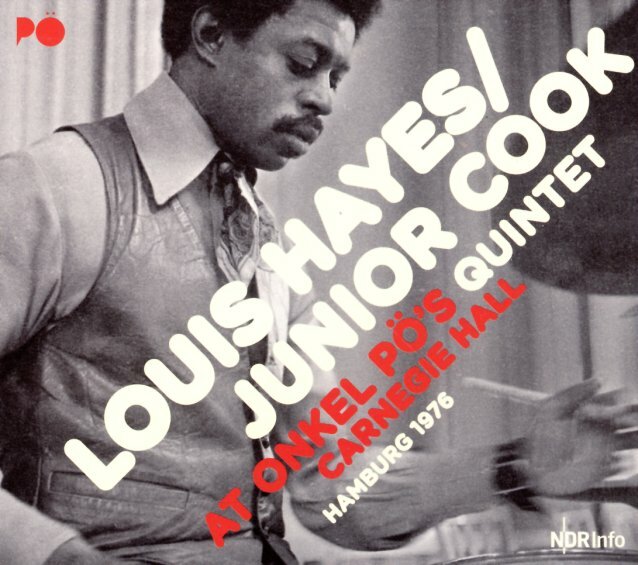 Both drummer Louis Hayes and tenorist Junior Cook are fantastic – but the whole group here is completely sublime – with Woody Shaw on trumpet, Ronnie Matthews on piano, and the great Stafford James on bass – a really rich player who gives the album a whole lot of depth – whether things are swinging straight, or taking off in new spiritual dimensions! The combo handles both modes wonderfully – and the long, open space of the live recording has Cook and Shaw turning out some very soulful standard solos, then soaring to the skies on some of the hipper numbers. All tracks are over ten minutes long – some much longer than that – and titles include "Moment To Moment", "Moontrane", "Ichi Ban", "All The Things You Are", "Four For Nothing", "Pannonica", and "When Sunny Gets Blue". © 1996-2019, Dusty Groove, Inc.